The waves softly kiss the shoreline. Water sprinkles and mixes with sand, only to return to the unknown. Again, the waves gingerly kiss the shoreline. Clouds move, the sun shines. Birds chirp, boats roar, folks laugh. The clement, alluring day promises pleasure. It’s such a beautiful poems about a place named Gili Meno, right? In Gili Meno, romancing is made easy. Not so wonderful if you could make a poem for sudden. Gili Meno is the honeymoon island, it’s naturally chosen to settle down for a couple of days. If you’re a suckers for all things mushy and romantic, how could you possibly say no to candlelit dinners on secluded charming island? Gili Meno is the mellowest of the three islands, it is the honeymoon island between the Gili Air and Gili Trawangan, Lombok. And the beaches are much nicer than you will find on Gili Trawangan and Gili Air. It’s easy to spend your time relaxing under your private beach gazebo or on your hammock enjoy enjoying the crystal turquoise waters and stunning views across to mount Agung in Bali and mount Rinjani in Lombok. Gili Meno is uncomplicated, peaceful and quite. The local population is only about 500 hundred and mainly lived in the center of island. They have a small infrastructure that includes a medical clinic and primary school, little shops, internet cafes, money changers and information center but no cars, motorbikes or dogs. The only transport on this islands is horse and cart. Only two kilometres long and one wide, Gili Meno is the smallest of the three islands and by far the most peacefull and under developed. It’s possible to walk around the island along the beach or paths of Gili Meno in under two hours. Public boats departs to Gili Meno from existing ports such as Lombok by local boats, Teluk Nara by fast boats, either Gili Trawangan and Gili Air by both local boats and fast boats, by fast boats it takes 40 minutes only to reach Gili Meno. The boats usually starts to operates at 08.00 AM. 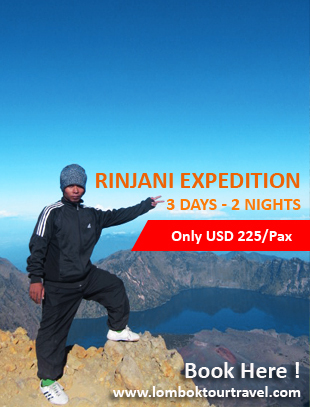 Prices will vary depending upon the area you are coming from (Lombok or Bali), prices vary depending upon operator. Fast boats from Bali usually will stop first in Gili Trawangan, in accordance with the wishes of the visitors.